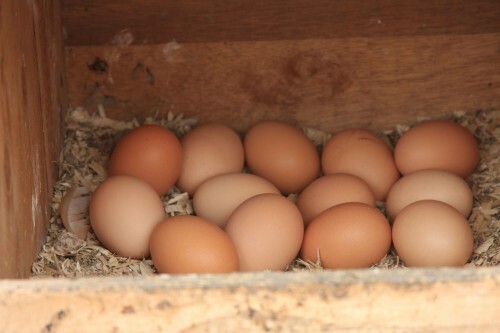 I always liked the idea of fresh eggs every morning from my own hens. When I was researching what chicken coop to buy, the restrictions that the council bylaw’s imposed, how much the grain costs etc, I found that very few chicken coop builders sold their chicken coops online. A few sold via TradeMe but, at the time, only one had their own website. I saw an opportunity there, so I made deals with 8 suppliers through-out NZ. I created a website that showcased their chicken coops with details and photos and an order form. With almost zero competition, I dominated the search engine results in a short time. I got great website traffic, I got a high rate of conversions. Every few months I called each supplier and asked them which of the enquiries/orders I had passed through from my website had converted to sales. And then I invoiced them for a 4% commission (that’s all they could afford). After 18 months I had sold $25,000 worth of chicken coops. But you are forgetting that my commission was only 4%, so I had made just $1000! The project had been 100 hours of work so I was making $10 an hour! I was disgusted and sold the website to one of my suppliers for a few hundred dollars. Instead: Consider digital products, subscriptions, advertising programs etc.